iRobot receives U.S. Army orders totaling $6 million (video). iRobot Corp. has received two orders from the U.S. Army’s Robotic Systems Joint Program Office (RSJPO) totaling $6 million. The orders call for the delivery of spares for iRobot 510 PackBot robots, including operator control units, manipulator arms and radios. All deliveries will be completed by November 30, 2012. Modular, adaptable and expandable, 510 PackBot is a tactical mobile robot that keeps warfighters and first responders out of harm’s way. The robot is ideal for a variety of missions, including reconnaissance, route clearance, hazardous materials detection and bomb disposal. 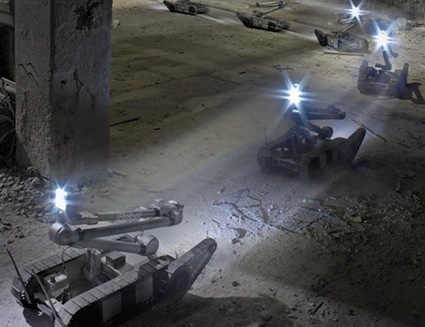 iRobot has delivered more than 4,500 unmanned ground vehicles to military and civil defense forces worldwide. Man falls to death from 150-foot construction crane in Dallas standoff (video).